If you want, DSHack.org has this list of all possible Timezones since day 1, and it automatically detects DST for each Timezone also, and I'm willing to share it with you. Okay, I just sent you a PM with the File. 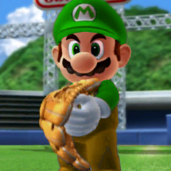 Now we got a proper Baby Luigi picture for the rankset. 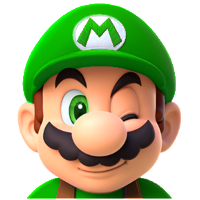 Can we now remove that pathetic Boo, move the other ranks down accordingly, and then we can put Baby Luigi there? So in Relaxland, you added the custom message that says 'blahblah users taking it easy', when you visit a thread, instead of saying "blahblah is reading the story of blarg", it still says taking it easy, even though the feature that shows which people are reading what thread is still active. Last view: 466 days ago So I'd been messing around with the RPG stats thing lately by actually equipping stuff. It doesn't really seem to have a use beyond that... Just having good stats. Is it possible to implement a "battle" system where you can actually fight other users RPG style? That'd be awesome. you know how things go. Last view: 466 days ago So... Is that another way of saying "no?" Ah well, maybe it's possible to rig something up in the forums via a thread. Last view: 4 days ago heh. Last view: 466 days ago It is possible? What does that thing do exactly? I'm not exactly experienced in this type of field. It barely does anything. Even less than what this board has. nothing. it displays your info and has a function for the goggles. That's it. Last view: 466 days ago Oh, okay. Also maybe you should link the introductions thread directly in the FAQ here. While there's not really any harm in creating separate threads for introductions, the thread must have been put there for a reason(I guess to prevent clutter?). Should we hide post counts as how RHCafe did? MySQL - queries: 26, rows: 230/230, time: 0.017 seconds.